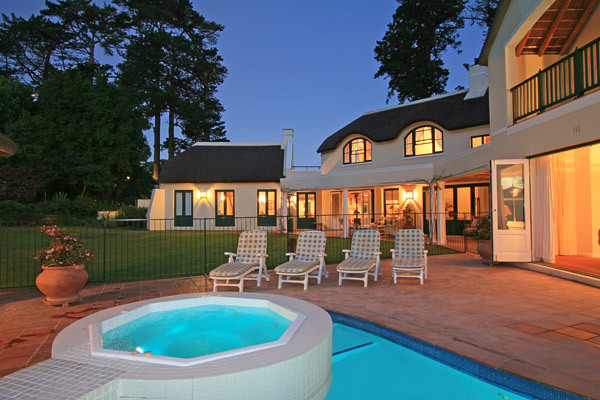 Why stay at ALPHEN VILLA? 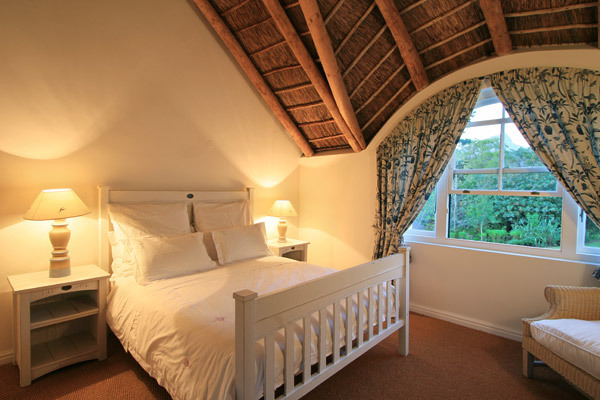 This vacation villa can only be described as a Gentleman's Residence, set in leafy, secure Constantia. Unparalleled quality, and attention to detail are the order of the day - no expense has been spared in creating this warm, welcoming ambience. 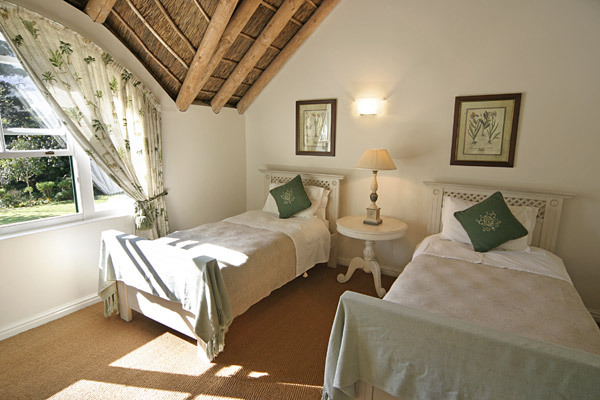 The home offers 3 double bedrooms with en suites (Bath, Whb's and Showers, plus a further twin en suite bedroom, and an additional separate Guest Wing with Four-poster Bed, En-suite and Living Room. Private terrace to guest suite and 2 elevated balconies to main house. Fully fitted Cinema, First Floor Pool Table and Games Area. 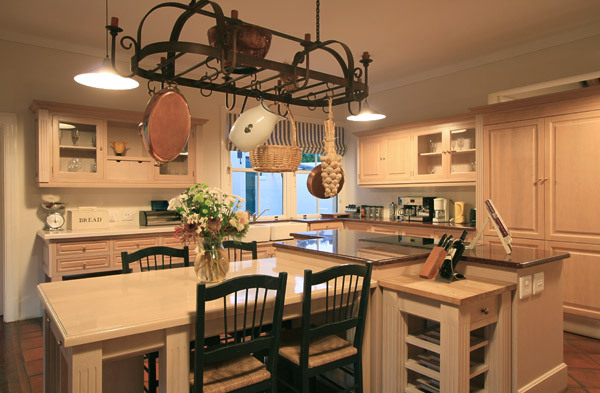 Circular Breakfast Rotunda, Fully Fitted Kitchen and connecting Scullery. Large open Dining Area and Fireplace. Day Lounge with PA System piped through property. 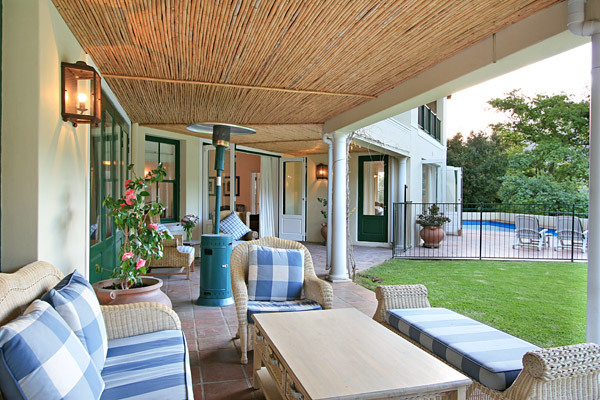 Large Patio, north facing with views of Table mountain. Entertainment Lounge and attached office with computer. 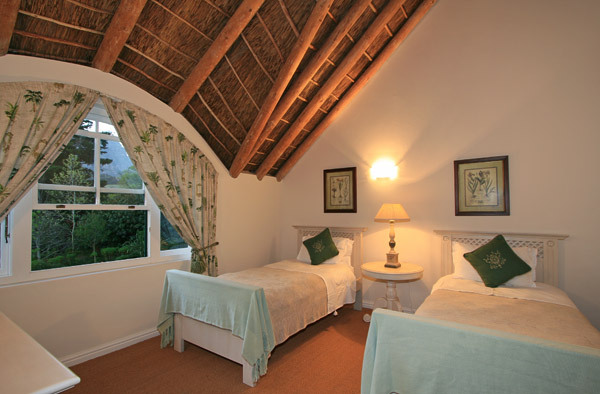 DSTV with 2 remote controlled TV positions. DSTV link to Cinema. 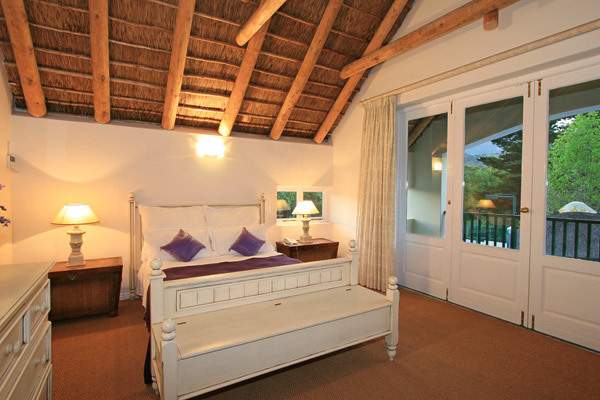 Upper Hallway open to thatch. Grand Outer and Inner Entrance Hallway. Ground floor toilet and cloaks area. PADX Telephone system installed throughout property for inter-room communication and gate release. Private rear courtyard with lighting. Gazebo with piped music from PA System incl. TV Socket. Food Prep. Area. Floodlit Private Tennis Court with practice wall. Tennis viewing area with seating. Outdoor Hot Jacuzzi with Mountain Views. 3 Car Garage with 4 Car Undercroft Parking, further parking for 3 car spaces. Large 'clearwater' swimming pool with diving board. 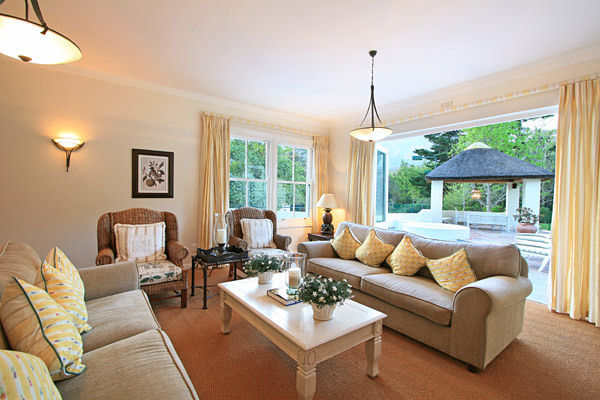 Extensive, manicured mature gardens in 1 acre of ground. Remote control double swing entrance gates with guard house/shelter. Detached Staff quarters sleeping up to 5. 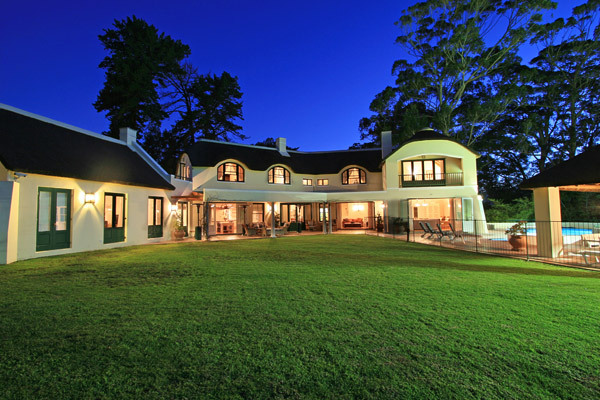 Controlled close circuit surveillance cameras situated around property with external multi beam movement passive beams linked to main house alarm. Full Armed Response Back Up. 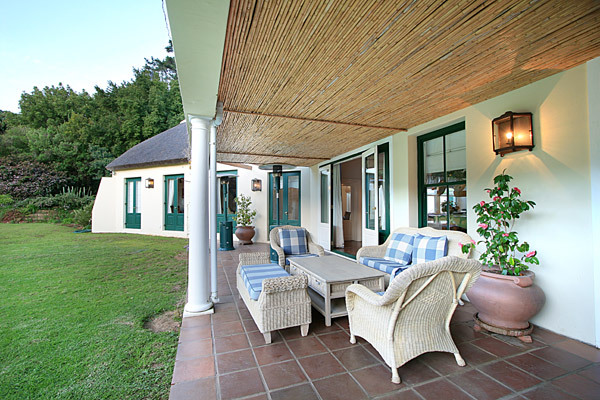 Ready to stay at ALPHEN VILLA?